Play Theory: This flag football play is what is called a top down read. Versus a Cover 2, each safety will have to make a decision. The first will be between Red and Blue. Once Blue enters the center of the field, the other safety will need to cover Red or Green. Versus a Cover 3, the center will be open every time. The key to this play is blocking. 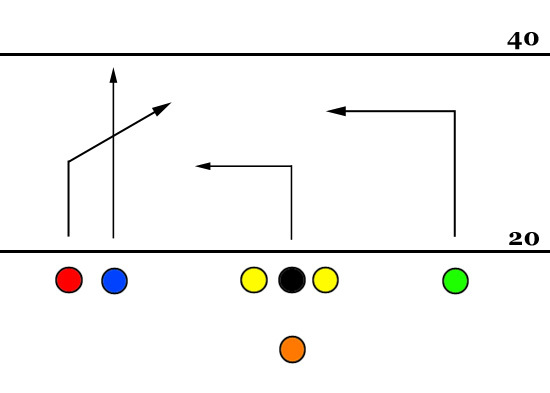 Because 3 of the routes are deep, the quarterback will need time for the play to develop.